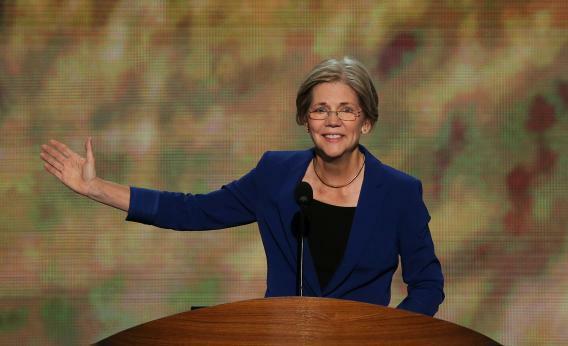 Elizabeth Warren beats Scott Brown in Massachusetts: Is she our most unlikely senator? Stop for a minute to think about just how unlikely it is that Elizabeth Warren has been elected senator in Massachusetts. Not too many years ago, Warren was a Harvard law professor known and loved only by wonks. She wrote about the intricacies of bankruptcy law, talking mostly to lawyers and judges. In the early 2000s, she was predicting the 2008 financial crash to law school audiences, pointing out that in families in which both parents worked, they were maxing out their income capacity and their borrowing—and could be tipped over the edge if just one thing went wrong. Warren was right about that, of course. Under Obama, she gradually became the darling of liberals: the woman who kept Congress honest over TARP and who spearheaded the creation of the Consumer Financial Protection Bureau, which is supposed to be the Obama administration’s answer to credit-card and mortgage fraud. Once she started running for office, competing against Scott Brown for his Senate seat, Warren turned out to have a knack for campaigning: She became famous for raking in campaign donations from around the country and for expressing a message about the importance of government and community in creating opportunity—a message that liberals wanted to hear from Obama but weren’t. Warren pulled off the successful rendition of “you didn’t build that” in this now classic video. “Wonder Woman wishes she could be Professor Warren” a law student fluttered in Rebecca Traister’s excellent New York Times Magazine profile. Traister also reminded her readers that Jon Stewart told Warren he wanted to make out with her. Warren took a lot of grief in this campaign for having touted her Native American heritage before she became a politician. Surely there will be plenty of jokes tonight about how the United States finally has a Native American in the Senate. To me this has always seemed like a fumble rather than a foul: Warren didn’t trade off her minority status for any benefit when she was moving up the ranks in academia. She wasn’t an affirmative action hire. She got her job at Harvard because she was stellar. She just repeated a family tale without fact checking it. Maybe that will be the embarrassing footnote in her obituary, but now that she’s in the Senate, she’ll have the chance to bury it in a heap of accomplishments.